Christopher Russell, Commercial Pilot Flight Test, Langley Flying School. 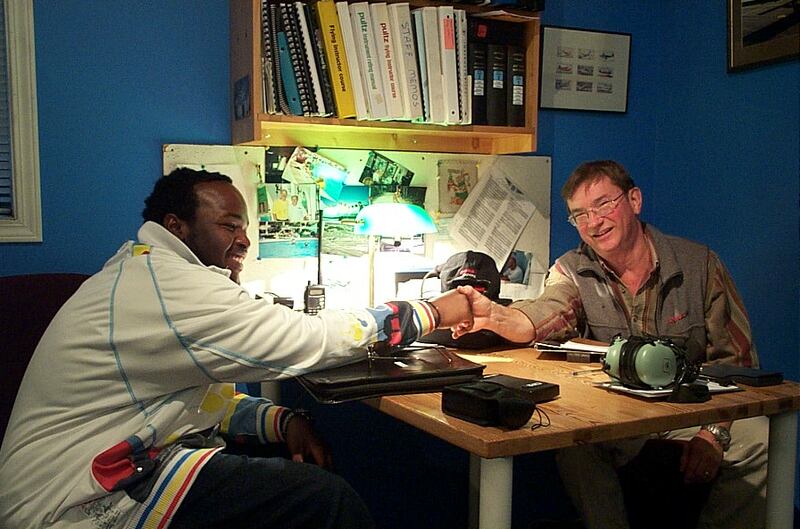 Christopher Russell with Pilot Examiner John Laing after the successful completion of Chris' Commercial Pilot Flight Test on October 21, 2008. 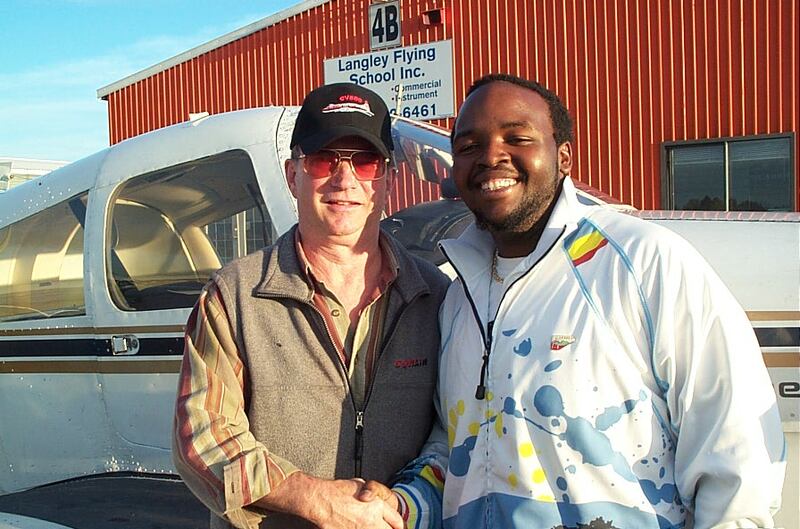 Congrats also to Chris' recommending Flight Instructor, Naomi Jones .